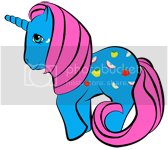 My Little Pony Arena » Forums » TCB » Trader & Classifieds Support » Unable to Update Sales? Forums » TCB » Trader & Classifieds Support » Unable to Update Sales? Posted: 0 Post subject: Unable to Update Sales? I looked for a thread that may have already been started, but couldn't find one. I'm unable to update my sales thread in the For Sale - For Auction forum and was just wondering if anybody else was experiencing the same problem? When I go to hit 'submit' it tells me there's been a database error. This happened on Wednesday and so I thought I'd give it a little bit of time before I said anything...but it's still doing that today. Thank you Starrby for my amazing persona- Arlet & siggy!!! Posted: 0 Post subject: Re: Unable to Update Sales? It's happening to everyone unfortunately. We've found remedies for the general posting/replying issues (there's a thread in the Corral, title starting with 'Quick fix') but no one's been able to find a way to fix the editing issue yet. I'm having difficulty even posting either, I keep getting the database error message whenever I post or edit. Some times my posts go through, but it takes A LOT of failed attempts.